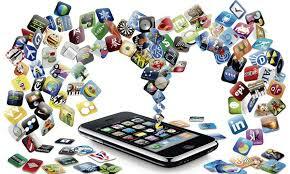 Legal aspects have to be taken into account when developing mobile applications. Doing so you can avoid any penalties, protect your app and your job as a programmer. This growing market for mobile applications, unlike web design, seems to pay less attention to these legal issues and this is often through ignorance. Users accept gratuity at the cost of their privacy and developers accept shortcomings and gaps in the law to achieve a wider user base, regardless of the possible outcomes in the future. You must bear in mind the activities you can preform from the app and the ones you cannot. You always have to use lawful means; you must be clear about the actions carried out offline or in a traditional way, this cannot be done from the app. Having the respective license for different resources can help achieve paramount importance, whether it is programming libraries, databases, graphics, melodies, text etc… Always read the conditions to avoid any issues, as sometimes those resources exclude commercial use, which cannot be integrated into your app. Remember; protect your content once you have finished developing your app to avoid any plagiarism, copies or imitations of your work. The problems in this area arise especially with apps that target the age group of 14 and under, such as games and educational applications. This group is particularly cared for by the government and mostly important the carer, therefore keep in mind any problems that arise from this nature can negatively affect the reputation of your application if the subject is handled legally wrong. First, we must create a terms and conditions contract that must be accepted in order to use the app. Plainly, if you don’t specify your terms & conditions your putting yourself at risk. Therefore it’s important that you create an agreement that protects both parties. By creating your terms and conditions in accordance to the current GDPR for mobile apps will most likely prove to be the best defence against any claim made. For this reason, prior user acceptance is essential. So be aware that you have included everything you need for your protection and make sure it is all neatly tied. Applications are installed and run on mobile devices, it is even important to note that you should be explicit about permissions for the users request. In multiple cases mobile applications will need to access parts of your phone for different purposes, this can be your phonebook contacts or mobile content. For example, if you use Instagram, you might have gave them permission to access your phonebook in order to find more of your friends. This is just one example, other actions such as payments, transfer of data, installations of cookies or content sharing are more examples. Based on these aspects the user must be informed clear as possible prior to the installation with the option to change your mind or configuration if needed by the user of the app. Depending on the operating system your application is available on will determine the actions you can carryout through your app, as different platforms have distinctive rules. A really good example would be the App Store. Due to new legislations announced in the recent Worldwide Developers Conference, Apple has begun rejecting apps that offer users incentives (rewards) for watching or posting the app via social media. 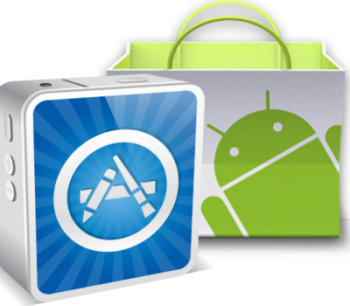 Therefore you should study the app store associated with the platform your app is designed on to prevent any problems. Most importantly, remember that markets (app stores) are the sovereigns for the apps to sell and to reach a wide user base. So you need to ensure that you are fully aware of the terms and conditions as these can change over time and possibly impact your app. There have been cases where applications have followed the conditions of a marketplace and later on these conditions are changed, and we find that the application is no longer available. It is therefore desirable to develop an application where it can be modified to suit the most recent conditions. The need for acceptance of cookies is so important on websites and mobile devices when downloading mobile applications. Depending on the screen size of mobile devices, app developers should make a notice with basic information about what cookies are, the purpose of them, who should install it and how to reject them. A large part of mobile applications can be considered as “services information society”, this only applies to the advertising they contain. This is why you have to meet the obligations that the law implies for these services. The primary obligation is to understand easier, in this case it would inform your users of the aspects set by the law, which can be done through legal texts or under the sections “about us” or “who are we”. These sections provide the user with information about the creators and who’s behind the mobile application. It includes details such as the name and domain of the company and the registration data of the commercial registry and adherence to code of conduct. These are a few common examples. The monetization of most free applications can come from different techniques; some are more lucrative than others. It is always advisable to choose a system based on profits and the type of application you are going to create. However, this is an increasingly widespread use of advertising to generate revenue. While it is perfectly legitimate for an app to include advertising, however to avoid any potential problems this should be identified once in progress. Why choose mobile developers to outsource your app project? How much does it cost to make a mobile application ?